When you’re property shopping, understand and budget for the costs over and above the purchase price. They shouldn’t come as a surprise, but rather be considered part and parcel of the buying process and cost. There are a number of costs covering different “functions” of the process. The major advantage today is you can access the costing online, so you have a good estimate from day one. Once the process gets underway, some conveyancers, such as Meumann White, allow you to track your property transfer. Everything’s transparent. They are the property transfer registration costs; if the purchaser requires a bond to be registered over the property there are bond registration fees; and transfer duty. Who are they paid to? The property transfer fees and disbursements are paid to the property transfer attorney (otherwise called a conveyancer), usually appointed by the seller to transfer ownership to the purchaser. This cost varies and is dependent on the purchase price. The costs payable to the property transfer attorney comprises the conveyancer’s fees plus VAT, the transfer duty payable to Sars, estimated rates, levies and other standard disbursements. If the purchase price of the property is less than R900,000, you’re exempt from paying transfer duty. The bond registration costs are paid to the bond registration attorney (this could be the same firm that is attending to the property transfer registration). If the seller had a bond registered over the property, that bond has to be cancelled. In which case a bond cancellation attorney is instructed by the bank which initially gave the seller a loan. These bond cancellation costs are paid by the seller. Rhys Dyer, CEO of bond originators ooba, urges buyers to access ooba’s easy online bond and transfer costs calculator. Input your property price and size of home loan, and you’ll have the relevant acquisition costs within seconds. Dyer believes education around these costs is vital, and should be understood and budgeted for before shopping for a property. These costs cannot usually be included in the loan applied to for the purchase price. For those who don’t qualify, saving for a deposit and costs can be challenging. “We advise customers to start saving for these costs around two years before they intend buying a property. Change your lifestyle and spending habits, so you have extra to save every month, plus any bonuses or gifts. If you haven’t done this, other options are to use some of the profit you’re making on selling your existing property; borrow against your pension fund; consider the financing or re-financing of a movable asset such as your vehicle; or if you’re not selling your existing property, draw against your access bond facility or take a bond on this property if it’s currently unbonded; consider applying for a personal loan; try selling unwanted and unused goods; and finally, perhaps borrow these costs from your parents – they may even consider ‘gifting’ these funds as an early inheritance,” Dyer says. 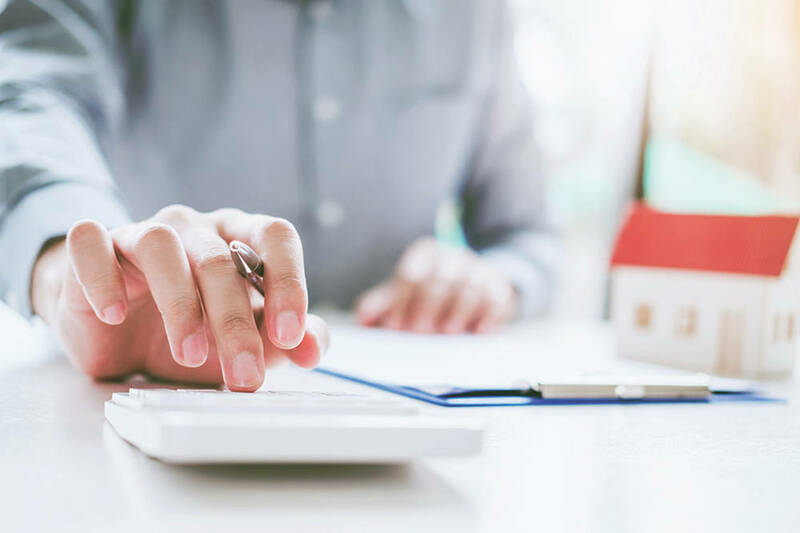 If the price of your new home is R2,5m, and you’ve been approved for a home loan of R2m, your total costs, estimated by the ooba calculator, including VAT, are R179,608.